Healthy Thanksgiving … yes, it DOES exist! With some of the family not being in town for the real deal this week, we decided to have a mini Thanksgiving celebration at our house last week. But I didn’t want to have TWO legit Thanksgivings with all of the unhealthiness that they would bring! So I did some research and put together and entire Thanksgiving feast that was completely healthy and not off-meal plan AT ALL! Even better? No one else even knew that it was healthy until I told them! Everyone loved everything (dessert included)! Basically, the meal was a huge success! While the turkey part is usually the least one anyone’s concerns on the healthy scale, the gravy that you slather it in tends to be ridiculously high in sodium! Check out this gravy recipe that has less than a quarter of the sodium that you typically find in it! 2. Add onion, mushrooms, and garlic; cook, stirring frequently, for 3 to 5 minutes, or until soft. 3. Add arrowroot; mix well to form a smooth paste. 4. Slowly add broth; whisking constantly to blend. Season with soy sauce and pepper. 5. Bring to a boil. Reduce heat to low; gently boil, stirring frequently, for 8 to 10 minutes, or until thickened. 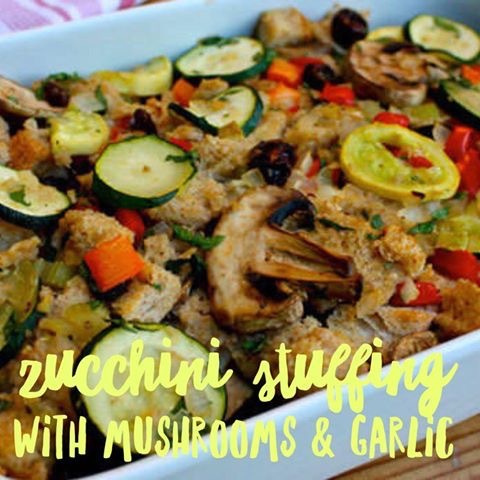 Healthy stuffing…it’s a thing…and it may have even been more delicious for leftovers the next day! Need a veggie side dish for next week that’s easy to make in bulk? Here’s your answer! 2. 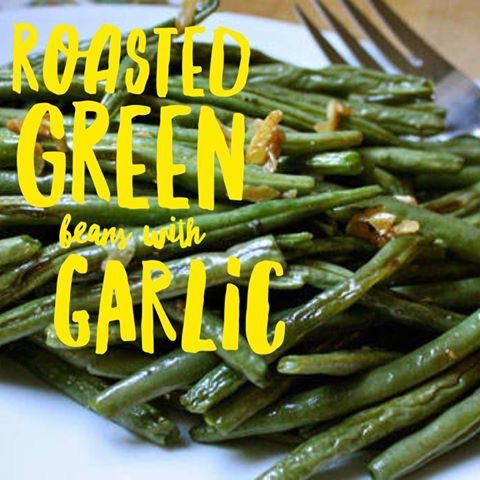 Combine green beans, garlic, and oil in a large bowl; toss gently to coat. 3. Place green beans on a baking sheet. Bake, shaking pan occasionally, for 20 to 25 minutes, or until tender-crisp. FINALLY! 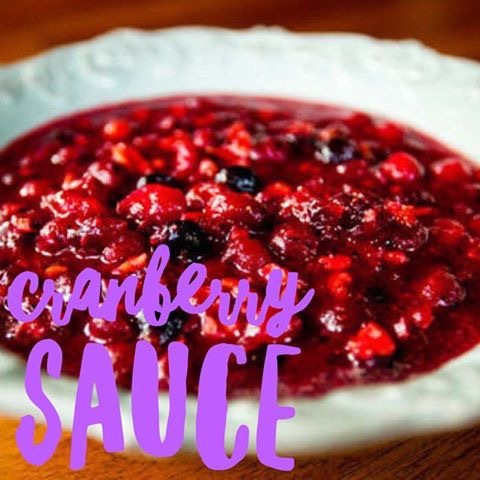 The cranberry sauce! Not super sugary like most, but still super delicious! 3. Add pecans, raisins, and pineapple; cook for 2 minutes, or until heated through. Remove from heat. 4. Add maple syrup; mix well. By the time we were done with our healthy Thanksgiving FEAST, this was the perfect healthy dessert to top things off! We were already completely stuffed, so this kept things on the lighter side, but still gave you that sweet, pie fix that you’re looking for! 2. Combine apples, 2 Tbsp. maple syrup, and ½ tsp. cinnamon in a medium baking dish; mix well. Set aside. 3. Combine oats, walnuts, remaining 1 Tbsp. maple syrup, and remaining ½ tsp. cinnamon in a medium bowl; mix well. 4. 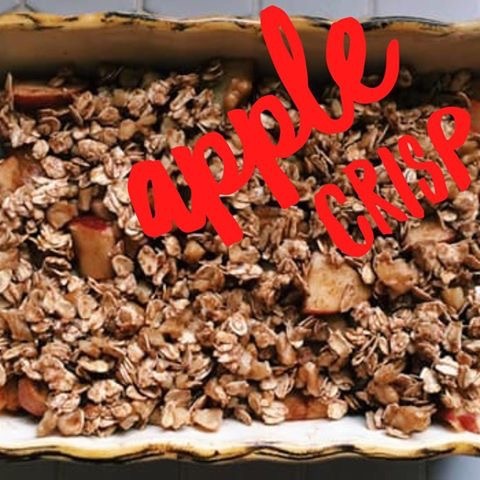 Top apple mixture with oat mixture. Bake for 25 to 30 minutes or until apples are soft. 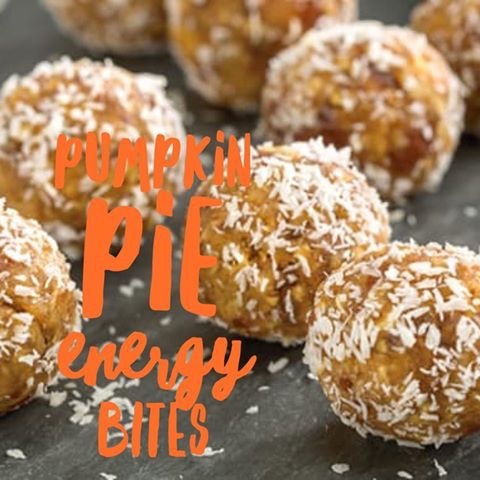 How about a bonus recipe to celebrate the pumpkin season and give you some much-needed energy while you’re running around like crazy this week trying to get everything done??? Pumpkin treats don’t always have to be unhealthy! And these ones don’t require any baking either…WIN WIN in my book! Plus, the dates that hold them together are a great source of energy and fiber, and the maple syrup and coconut flakes that help sweeten them up won’t cause you to crash afterwards either! 1. Place dates in a medium bowl; cover with water. Let soak for 10 minutes. Drain. Set aside. 2. Place pecans in food processor; pulse until finely ground. 3. Add dates, pumpkin, coconut, extract, maple syrup, pumpkin pie spice, and salt; pulse until well mixed. Place in a medium bowl. Refrigerate, covered, for 30 minutes. 4. Using clean hands, roll into tablespoon-sized balls; roll in reserved coconut (if desired). 5. Store, refrigerated, in airtight container.